Free dog companion and playable female character have no exact release dates though. 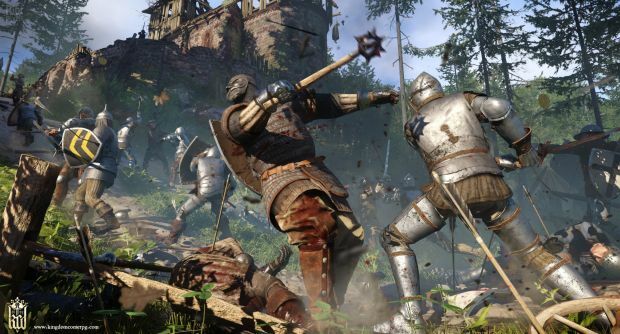 Warhorse Studios’ Kingdom Come: Deliverance has been out for roughly a month now and sold more than 1 million copies, which is pretty good for a crowd-funded project that’s been in development for almost eight years. That being said, the developer is still working to fix numerous bugs and glitches that plague the game. There has been some criticism that the promised free DLC, comprising of a dog companion and playable female character and part of the Kickstarter’s stretch goals, weren’t coming to the game. Director Daniel Vávra has clarified on Twitter that they are indeed in the works. Though there’s all sorts of planning that must also go into it, Vávra said that the team is currently working on this. As for the latest patch, it’s estimated to go live this week after a delay but we’ll have to wait for more information.